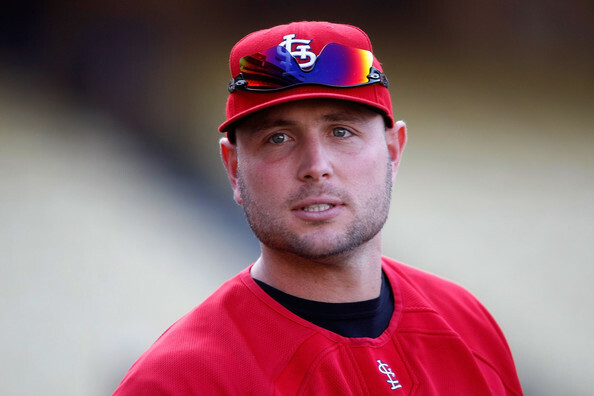 Matt Holliday is Heating Up, But What Does it Mean? Posted in: St. Louis Cardinals. Tagged: Cardinal, Matt Holliday. Matt Holliday is THE mainstay in this Cardinal’s lineup. A lot was made of how important he would be when Pujols left and he hasn’t missed a beat. I recently wrote about Holliday’s slow start and how his numbers were going to be there in the end. So how’s he doing now? In the last 10 games, Holliday is hitting .359 with a .811 OPS. In fact, in June Holliday is hitting .338 and a .911 OPS. Not much was made about Holliday’s slow start because of how successful the offense was doing. He was able to get by with a .260 avg without a large outcry from fans online because what are we going to complain about? Now, as expected, he’s starting to put up numbers. I’d like to see more power but I think that will be something that will decline with age. Overall the Cardinals are getting by without bombs and that will continue to be something that is very interesting as the season goes on. Holliday’s BAbip is high in the last month (.393) but he’s always been a guy that hits the ball hard those balls find holes, luck or not. Holliday may not make the All-Star game but he’s still the man in STL. As the final push begins till the break, Cardinal’s fans should be happy with next few epic series against the Rangers, an old friend, and “Moneyball”. It’s going to be fun.